When the news came out about Valery Kaykov this morning I couldn’t be bothered to mention it in a tweet. Doping news can crowd out other stories to the point where if one rider tests positive then it can be the only mention they get. Kaykov’s had some success as a track racer but I’d not covered his success in the velodrome nor his wins on the road either so why mentioned he’d tested positive? Only this has changed because the substance he’s been caught with is GW501516, a drug so dangerous that WADA issued an unprecedented alert last month. Many drugs get brand names, for example Epogen, Procrit, Eprex, Recormon, Dynepo, Epomax are all names for EPO, recombinant erythropoietin. The drugs for sale in pharmacies and used in hospitals have to be approved by medical regulators and go through a series of clinical tests in order to be approved. GW501516 never got much beyond the first phase of its clinical trials, in fact it never got a name. It was destined to be an anti-obesity drug. Like many, British pharmaceutical company Glaxo is hunting for an anti-obesity “wonder drug” to help cure the epidemic. The trials had a positive start as early tests on rats fed with a high fat diet showed little weight gain as, in simple terms, it helped control fat levels in the blood. The full details are in the cheerfully-named The Toxicologist (page 189). Unsurprisingly the trials came to an end. However GW501516 does have a name on the black market where some call it Endurobol. Yes, the drug might have been canned by Glaxo but it is being made by clandestine laboratories for sale on the black market where athletes and body builders seem to be buying it. A few keystrokes is enough to find bodybuilding forums where worries about members posting photos of themselves in their underpants are nothing compared to the chatter about the claimed benefits of Endurobol. If this isn’t disturbing enough other websites are openly selling it although obviously without reference to the product’s potent carcinogenic properties, nor that it is not licensed for human or veterinary consumption. In fact some work by testing labs suggests black market sales offer varied dosage quantities that don’t match the labelled amount. This brings us back to Cosmonaut Kaykov and his journey to the dark side of the internet. He was listed at the Brabantse Pijl yesterday but I can’t found out if he started. He didn’t finish and he’d probably prefer such anonymity given his name is now synonymous as the first GW501516 case. Strictly-speaking he is not guilty yet because only his A-sample has shown the presence of the prohibited substance. But this has been enough for his team to sack him. Now he gets the right to his B-sample and a hearing with the Russian authorities. His team are obviously embarrassed but it seems drastic to fire him instantly like this. The team belongs to the MPCC grouping and in accordance with their rules has to suspend a rider in the event of the A-sample suspicion but firing is another thing. The team put out the news that his contract was ended before the UCI could announce the anti-doping process had started and like some Soviet regime photo he’s already been deleted from the team website. He might well be guilty but there is due process and what if the B-sample is fine? But however much some might try to portray Kaykov as some desperate lone wolf acting alone, this can’t be so. The drug in question seems so toxic he could need regular check-ups. But where did he get the substance from? The product seems so dangerous that the police might well be interested. Kaykov has been caught by the WADA Accredited Cologne laboratory, a place with equipment so finely calibrated it caught Alberto Contador in 2010. This matters because the German lab has been testing for Aicar. This substance first appeared in cycling circles when police found traces in waste dumped during the 2009 Tour de France. It has now perfected an Aicar test in that it can detect levels in anti-doping controls. But the substance occurs in the body and there is debate over what constitutes a natural amount and where to draw the threshold but the science is established and anyone using it risks becoming a test case like Kaykov. Unknown until today Valery Kaykov is now Mr Endurobol, the world’s first athlete to get linked to this worrying substance. It’s no joke either, the substance is very risky. Some might say it shows the idiotic lengths some will go to for an edge but this assumes people like Kaykov know the risks. It is much more likely they don’t understand the dangers. These dangers are rarely spelled out. I don’t want to link to the websites selling these products but trust me some have gushing text to explain the endurance benefits but fail to mention the dangers. Some say you can buy it for “research purposes” although personal abuse is the aim of the game whilst some go as far as promoting the drug but warning it is not fit for human consumption… then again in a world of cigarette packet warnings perhaps many aren’t deterred? 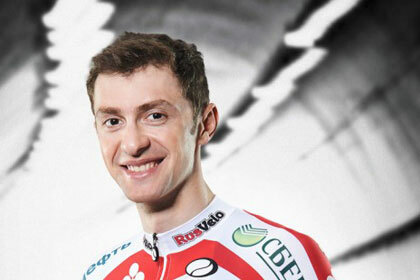 Whilst a cheat has no place in the sport there’s something worrying about the haste shown by Rusvelo to eject him. What if there was a mix up by the lab and the B-sample is fine? Or has the rider put his hands up and admitted it? Rusvelo is a well-resourced team and when any rider resorts to doping it is a signal that they’re not finding the answers from coaching and performance within their team. Is there any good news here? Yes, we’ve caught someone and this could deter others because they know they risk detection. It just be luck that Kaykov’s sample went to Cologne but it’s also a victory for this lab that’s currently leading a lot of anti-doping research. All that remains is to hope no other cyclists are linked. Should that read NOT finding the answers on coaching and performance without their team? I’ll rework that bit, thanks. I think it is more easy to order some GW501516 online & use a certain dose regimen than it is e.g. coordinate a blood doping program on your own, or without the help of medical professionals. It is indeed quite odd that the substance is commercially available. The bulk scale synthesis is quite involved (http://pubs.acs.org/doi/full/10.1021/jo035140g#), so it is impossible to make with kitchen-style clandestine chemistry. It is however simple enough to order in bulk at chinese custom synthesis firm, would probably set you back a few 1000 € for 100 g.
Also interesting to note that there are a lot of other selective PPAR with disclosed structures in the chemical literature, which could be abused similarly, without any chance of a validated test. You would think that this is too crazy and involved, but BALCO proved that designer PED’s are a reality. And if you don’t fear the effects of a proven tumor-promoting agent, you will probably also not fear a compound with unknown effects. I think this is a big (unbeatable?) challenge for antidoping organisations. Sure but if this substance is as dangerous as it seems he’d do well to help people find where he got it from and the police might want to to know. As you say there are wider problems here and that’s before we get to the subject of gene doping and epigenetics. Another sliver of good news may be that he was caught early enough not to have done too much damage to himself. No one likes a cheat but no one ought to be wishing ill health on another. Being caught may be the luckiest outcome for Kaykov. I agree. It’s hard to imagine that the decision to take such an apparently dangerous drug was an informed one. More than anything, I feel pity for this rider. Yes, let’s hope people are able to communicate the risks to him and he is sent for regular health checks over the months. Careful, all humans have their problems regardless of country. I know countries do too and we’ve seen Sebrayakov lose his shine this week too but hopefully this isn’t a national plan. I know what you’re saying, INRNG, but the fact that Russia has a big problem with doping amongst track and field athletes – almost two dozen positive tests in the last 12 months – doesnt help prevent a certain perception building up. It does show they don’t seem to have much of a problem with testing. Why isn’t it protocol to test whole teams instead of one rider. Select a rider at random (or how those subject to dopingtests are chosen), take blood and urine samples of whole team and when rider tests positive, test other samples too. This will answer your lone wolf theory. Weren’t Serbrayonov and Kaykov tested on subsequent days? It sounds like they are testing a nation rather than a team! When the police catch bank robbers or the guys that broke into your house it’s positive news and people are happy the system works. In cycling we seem to have the opposite reaction; anytime we catch somebody it’s almost negative and has the feeling of a scandal. How do we change our sport’s cultural attitude (as fans, professionals, journos, etc.) around this so that we celebrate when a cheat is caught instead of seeing it as scandal? I wouldn’t say that is true that catching a bank robber is always a good news story. Questions are still often asked why weren’t they caught earlier. Same goes for other “cheats” of the systems who are caught: murderers, rapists, fraudsters or terrorists. However, point taken that it is generally spun in a more positive light than dopers, maybe similar questions need to be asked in those situations too though. What is wrong with the system that they are cheating? Why has someone decided that it is a good idea to rob banks, defraud share holders, kill people and blow up buildings? Why wasn’t there someone there to help them before more harm is done to them and others? The scenario’s not quite the same, though. With doping, we don’t know a “crime” has been committed until the positive test. So it’s not like the police letting you know they’ve finally found the burglar, it’s more like the police calling you up while you’re on holiday to tell you you’ve been burgled (and by the way, they’ve caught the culprit). Part of the issue I have is that the list of substances banned by WADA is so extensive you can dope on the homeopathic/over the counter aisle of your grocery by accident. In many cases, it’s not as clear cut as this experimental drug that never made it to production, or a genuine doping program. I read a heartbreaking article in either a men’s journal or nat. Geo. about Olympic athletes who had missed a games because of accidentally taking an over the counter medicine or herbal supplement. In some cases the banned substance was later removed because it didn’t provide a real performance advantage. And these were people that were pushing a bobsled, not endurance athletes, they just wouldn’t gain any benefit from doping. On the other hand, the powers that be can’t or won’t catch a conservative doping program, i.e. US Postal. At the end of they day, doping isn’t a black and white issue, it’s dominated by grey, which isn’t solved by easy answers. I don’t think things have changed much from the days when the survey was done on elite, Olympic-level athletes about a secret drug that would make sure you won an Olympic gold medal, but would then kill you a decade later. A scary number said they’d gladly take it. I’m sure these not-so-smart guys (remember Ricardo Ricco?) think if the drug is not available to the public, there’s probably no test to detect it. Lifetime bans for doping, just like the death penalty for criminals, would have these guys ratting out their suppliers and enablers if a lesser penalty were offered in exchange. Whatever happened to the big interest in finally changing the culture of the UCI? If the BigTex scandal wasn’t enough to get things changed, I fear nothing will ever change. A man comes up to a top athlete and says ‘take this pill, you’ll be Olympic Champion but be dead in 4 years’. It’s not even that they think it’s undetectable. I’ve heard stories of Ricco literally running away from end-of-stage doping controls. They know they’re going to be caught, and they don’t care. I agree that the current 2 year initial ban is clearly no deterrant at all. I believe everyone does deserve a 2nd chance, but the first ban needs to be upped to at least 5 years. 2 years is getting laughed at. Higher probability of being caught will trump a low-risk high penalty anytime. Don’t increase the bans, increase the number of tests! We can only celebrate when those responsible for governing the sport, in this case the UCI take action to change the current system. Ban these cheats for life, and get them and their kind out of our sport for good – send the right message. To do less will never see a resolution to this problem. I am afraid I do not agree with Inrng and his concerns for ‘due process’. If the A sample is positive then there is little chance the B sample will be any different. The only outcome will be to drag the whole affair out for much longer. Rusvelo have done exactly what is required, and I hope other teams will learn from this example. If the later B sample returned a negative then he can be reinstated. Imagine if it had been one of the more wealthy members of the peloton – months even years of negative publicity and all the nonsense and wrangling that goes with that. No need to wonder why trust is in such short supply ! Do you have reliable information on the rate of false positives for this test? If so, please share it with us. If not, you might want to tone down some of these statements. I do not have data on the false positive numbers for this test. It is after all a new test. If you care to review testing in general, you will find that false positives are rather rare, and there is no reason to expect this new test will not follow the trend. question. I am not happy that such strong views have to be expressed, but more people need to understand what is/ has happened to our sport. Put me in the Kimmage /Walsh group if you like, I have been humbled by their determination and efforts over the last few years and only wish there were more of their kind. The sport does not need to give cheats nor the UCI an easy ride. To do so will only see a continuation of history. Is that what you really want ? BC: it is true that it is relatively rare for the A and B samples not to show the same results, but it isnt unknown. For that reason, and because we’re talking about athletes reputations/careers etc, I believe that it is right and correct for a validation process to be followed – unless of course the athlete admits after the A sample results. This isnt about ‘giving the UCI an easy ride’. They dont dictate the A+B sample process as unique to cycling. It’s totally in step with the WADA code, and I for one dont want to see cycling going against the code. We’ve had enough wild west stuff in cycling over the years as it is. BC: We should protect the clean riders not only against their cheating peers but also against being innocently accused, banned and fired. Waiting for a B sample to be processed is not giving cheats an easy ride. It’s being sure of your case before you take hard measures. I’m not denying the sport has problems. I just don’t think throwing time-tested legal principles overboard is the answer. I hear you and some are calling for B-samples to be scrapped to save on money. But that’s another point. We’ve got a rider being fired on A-sample only. What I want is for the rules to be followed. Under the MPCC provisions which Rusvelo have signed up to, he has to be suspended so he can’t race. But it’s going a step further to fire him. Sure nobody wants the cheats in the sport for one second but there are rules. As said, if we get wild west justice then a few bad guys get taken down but the whole system can collapse too. INRNG: talking of MPCC, this does throw up one of the concerns I have re MPCC (and btw I do applaud the movement’s position on certain things). The MPCC approach depends on self-regulation. Who watches that the teams that are signed up, do actually follow through with its various codes? Team managers can easily sign up on the dotted line, and just go ahead and ‘bend’ certain rules to suit their purposes. The teams are supposed to watch each other and the MPCC itself monitors events. But like any self-regulatory system, the test is not how good the rules are but how they stand up when challenged. Will a team follow the rules if a star rider is caught? In the past we’ve seen teams break agreements, eg Liquigas and Discovery over the deal not to sign returning Puerto riders when they (tried to) hired Ivan Basso. All very true INRNG. But remember the Russians almost never made the top level this year for very understandable reasons. Rusvelo employs riders and support staff, under contract, and will have certain employment conditions. As such they will have every right to take whatever action they deem fit and appropriate within these conditions. One has to assume they will have spoken to the rider before taking any decision. I don’t want to lower the tone of your excellent blog, but to expect that the UCI be arbitors of truth, fairness, openess and justice is pushing things a little far considering recent past history. As for the MPCC, its’ early days to come to any conclusion concerning their potential. Signing up is the easy part, when problems arise it will be easier to make a judgment. Of course rules are rules, but employment conditions, the future of teams, clean riders, health, fans and the sport demand that tough action is taken, and seen to be taken. I have already made the point that should subsequent information prove the A sample analysis wrong, something that I do not expect, then the rider could easily be re-instated. The sport has somehow to find a pathway to the future. Difficult given past history, but something has to change and be seen to change. You probably saw it but perhaps some of your visitors didn’t already. In this French news feature, the journalists discuss the much-vaunted AICAR and GW501516 combo. Subtitles are available on the video. In a nutshell, the team bought 200 mg AICAR + 150 mg GW1516 online from the US and China for a total of €500 using nothing more than a valid credit card. From official sources, the equivalent would cost ten times as much. A lab analysis showed that the products were genuine and delivered in the correct amounts. Yes, I saw that when it came out. It features the Cologne lab too. You see I’m not evenly shocked by this, the same thing is happening in the UK with street drugs, the continuous alterations in formulas of plant food to beat legislation so that a cheap high can be purchase legally without any form of testing. If sport is a reflection of life I’d certainly rather have athletes take drugs that are at least vaguely safe for human use in the same way I’d be happier with people using recreational drugs that have at least had some sort of exposure to the medical industry. I’m not condoning PED’s I’m just saying that with a improved testing regime come potentially way more serious consequences for athletes who feel under pressure or have questionable morals. It amuses me how quickly the team leaps to “sack” the lone wolf rider. Dodgy world pro cycling and I’m afraid it may always be. Sadly this might become similar to when EPO started to be used in sports – otherwise unexplained deaths of pro cyclists. Due process is needed – bribing testing labs is not unknown! The answer is not for the UCI to be involved in the drugs testing. Chrisman was correct – the UCI doesn’t want there to be any positive tests, as it looks bad for the sport (& is bad for the sport). An independent organisation is needed, that won’t give enough time for infusions to be given before testing commences etc, and will hunt down the drugs cheats, as it’s their job, whoever and however many there are. Amateurs should be included too – some have different ideas as to what is cheating. Note the UCI aren’t involved here. The testing was not done by them and they got notified about the same time as the press release went out. The UCI are looking at an independent anti-doping body. They (via McQuaid) have said it is not possible under the WADA Code but I’m less sure and think there’s room to explore the idea, rather than holding up the Code and saying no. INRNG: out of curiosity, what makes you less sure? Ambiguous wording in the Code? Yes, Article 15 is loosely worded and allows for other agencies to be involved. WADA for good and bad reasons (ie the political spat with the UCI) would welcome an independent body and would surely try to accommodate it. Yes, where there’s a will there’s probably a way. At least it’s worth exploring, I can’t see WADA saying “no, we insist the UCI runs these tests” given the breakdown in trust between the two agencies. You are missing essential facts regarding WADA’s role in anti-doping. WADA has no authority to test athletes or open cases. -WADA certifies labs and the tests. -The sports federation (either UCI or National) selects athletes to test and which tests to run. Promoters had the same privilege, I do not know if that’s still true. -WADA certified labs are directed by either the UCI or the National sport federation to run tests. -Judging by your comment regarding the UCI finding out later, it appears when the national federation orders a test, they are notified separately. When the UCI orders tests, they appear to be entered into the APMU. -In this case, it appears the National federation has the authority to open adverse analytical findings proceedings. The way the system is designed positives can be hidden. We know because of Ashenden’s battle with the UCI over Armstrong’s samples that red-hot positive samples were ignored in the APMU. Which then leads to the bigger question, why is Russian athletics willingly opening numerous positive cases? Maybe this is some kind of effort leading up to Sochi Olympic games??? You could be right but there’s often less conspiracy. Russians could be caught because they have a large testing pool of athletes and a % is doping. Not all tests are done by Russian authorities, it could be local agencies where the athletes live. It probably is something much simpler regarding the Russian positives. Given all the scandals in cycling over the decades, my mind goes straight to some scandalous behaviour. World Cycling Productions is a separate legal entity too, but it’s got Hein and Pat’s fingers all over it. Re-read the WADA documents. As of 2013 for sure, UCI chooses who to test. Prior to 2013, it was actually Saugy’s lab as “WADA” generating a pool of cyclists to test. It was only ever a recommendation though. UCI could does as they wish with the list with zero consequences. I’m picking nits with this comment, but the phrase “black market” usually carries with it the connotation that possession/use of the drug is criminalized. With unregulated compounds, this is not the case. Until a country’s regulatory agency (food/drug) catches up with the compound, there is no law against using, making or distributing. Based on reading bodybuilding forums, peptides like gw-whatever are the next revolution in doping. They get excellent results a little more slowly than steroids seemingly without the complexity/consequences of using steroids. Of course, all the dopers are just ignoring the enormous personal health risks as you rightly point out. So my first question would be, how for Pete’s sake becomes a recipe for a drug build by big company Glaxo, which got no concession after testing in labs, become available for those “clandestine laboratories”? That is the point where an criminal investigation should start, and not by the last in the food chain, bodybuilders or riders who buy the crap. Ah, thanks. I misunderstood. After reading WP I got it that it is just a substance and not a by Glaxo developed drug. Should’ve use the wikipedia.en first, not .de, which had no article about it. It’s not illegal to manufacture nor is it a black market and is not being made in clandestine laboratories. It can be bought from various professional websites for research purposes. No new research has come out on GW501516 in a while. The latest news is pure WADA hysteria.